We place 4-6 implants in the jaw and make a framework that binds these implants and add teeth on top of this framework to make a hybrid denture. A hybrid denture is permanently secured to your bone and it does not come out of your mouth. In some cases, it is a better alternative to an implant supported Overdenture. What material is in an Implant Supported hybrid bridge? Implants are made of titanium. The tooth and gum portion of the appliance has a base material that is made of acrylic covering high noble metal or zirconium oxide. The teeth can be plastic or porcelain. It is fixed to Implants, so you do not need to take it out. Many patients fear their dentures falling out when they are speaking or eating. The Hybrid denture is fixed to implants with screws, so you can enjoy your daily activities without worrying about your dentures falling out or the social awkwardness of your teeth moving while speaking or chewing. Our tongue and palate have taste buds. When you wear a conventional denture, it covers your palate and it limits your ability to taste food. With a hybrid denture there is no extension on palate, so you can utilize all your taste buds. The snug fit of the hybrid denture gives an overall better esthetic and provides you with more confidence. A Complete Denture with 2 or 4 Locator Attachments is an appliance that replaces all of the teeth on your upper or lower jaw. It is not cemented in your mouth and can be taken out. Locator Attachments are connected to dental implants that are placed in the jawbone. 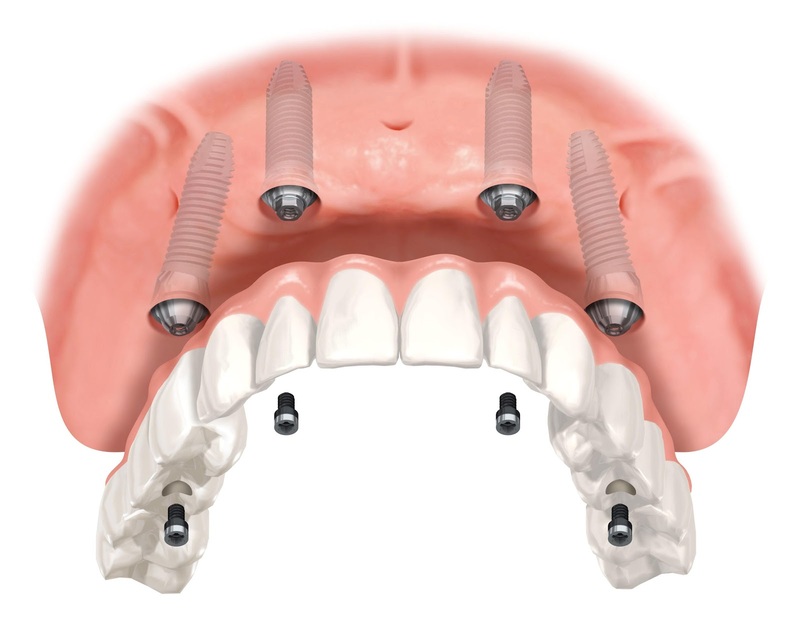 The Locator Attachments connect the Complete Denture to the implants. Generally, 2 implants and attachments are used for a lower jaw Complete Denture, and 4 implants and attachments are used for an upper jaw Complete Denture. When there is not enough jaw bone present in the mouth, the denture does not have enough retention and support. Usually, the lower jaw has less bone and because of mobility of the tongue, the lower denture is less stable. To provide better stability, we place two to four Implants in the jaw bone. Implants act like roots of teeth. After that, we place attachments on top of Implants and on the denture. The denture locks on to the implants with these attachments. This snap in denture holds better and does not move. You do not need to apply denture cream. 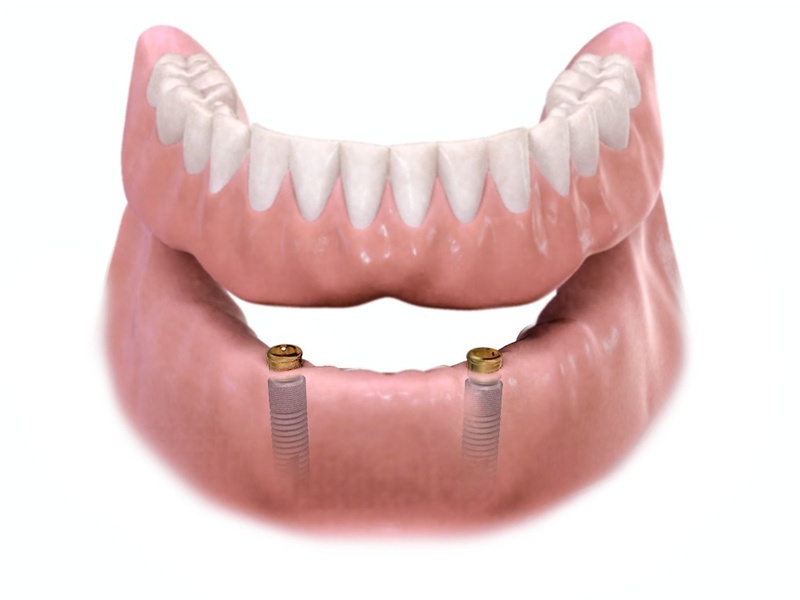 Support from implants will give you an ultimate fit for your denture. Locator attachments greatly improve the retention and chewing ability of a complete denture. 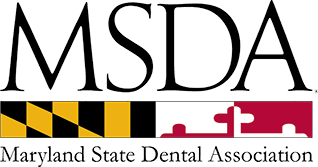 Patients who have a dry mouth and/or fragile tissue may have difficulty with retention and comfort when wearing a traditional denture will benefit from locator attachments. The lip support is better compared to an implant retained fixed restoration because the extra denture material gives you an instant cosmetic filler for your lips. A removable appliance is more easily repaired. Oral hygiene at home care is also easier. What material is in a Complete Denture with 2 or 4 Locator Attachments? The base of a complete denture with locator attachments is made of pink acrylic. The teeth are made of tooth colored acrylic or porcelain which attach into the base. Locator attachments are plastic and the implants they attach to are titanium. What are the risks of a Complete Denture with 2 or 4 Locator Attachments? Locator attachments wear out over time and need to be replaced. Denture acrylic covering the locator attachment may chip if it is thin due to a limited space in the mouth. What are the alternatives to a Complete Denture with 2 or 4 Locator Attachments? Are there any post-treatment limitations once I have a Complete Denture with 2 or 4 Locator Attachments? To keep the tissue under the appliance healthy and to prolong the life of the locator attachments, your denture should be left out of your mouth during sleep. The teeth in the denture are not as strong as your natural teeth and you will not be able to chew as heavily on them. The appliance will tend to get food trapped underneath it and you may have to remove and clean it after eating.